Last week a Wall Street Journal report suggested that Microsoft and Mojang were considering an acquisition worth upwards of $2 billion, and a Reuters article later stated that an announcement would come today, revealing an agreed price of $2.5 billion. Now it's official. Mojang's Chief World Officer Owen Hill has taken to its blog to confirm that the two and half billion dollar acquisition is definitely happening. "...I don’t want to be a symbol, responsible for something huge that I don’t understand, that I don’t want to work on, that keeps coming back to me. I’m not an entrepreneur. I’m not a CEO. I’m a nerdy computer programmer who likes to have opinions on Twitter. As soon as this deal is finalized, I will leave Mojang and go back to doing Ludum Dares and small web experiments. If I ever accidentally make something that seems to gain traction, I’ll probably abandon it immediately." Notch isn't alone. Founders Carl Manneh and Jakob Porser are also leaving. The majority of the remaining Mojang employees will likely continue working with the company, helping to build Minecraft's future. "There are only a handful of potential buyers with the resources to grow Minecraft on a scale that it deserves. We’ve worked closely with Microsoft since 2012, and have been impressed by their continued dedication to our game and its development. We’re confident that Minecraft will continue to grow in an awesome way." 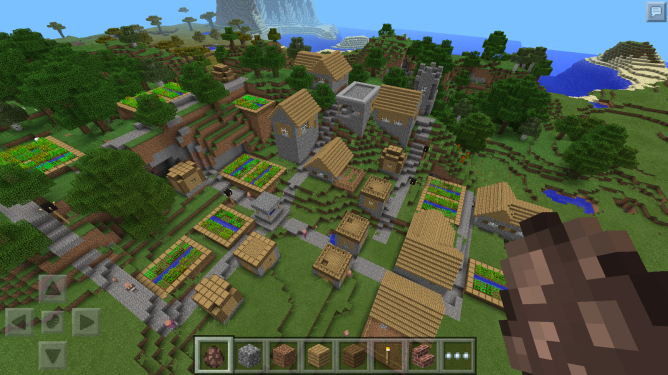 "Minecraft will continue to evolve, just like it has since the start of development. We don’t know specific plans for Minecraft’s future yet, but we do know that everyone involved wants the community to grow and become even more amazing than it’s ever been. Stopping players making cool stuff is not in anyone’s interests." For more details, access Mojang's and Notch's blog posts at the source links below.